Flowering time: June-September. Evergreen perennial. 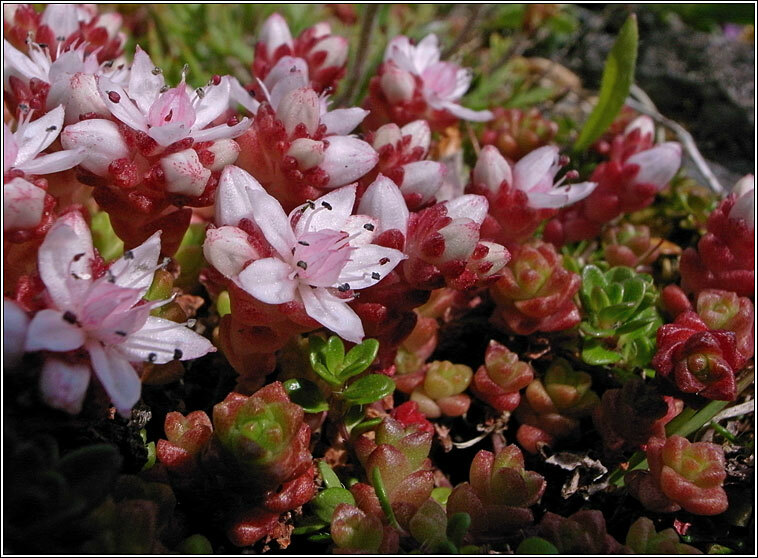 Habitat: Mainly western Britain and Ireland, scattered elsewhere on acidic rocks, shingle and among dry, sandy grassland. 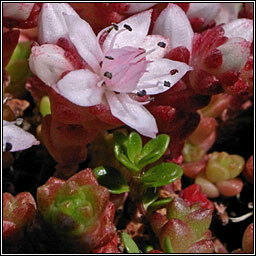 Five-petalled white flowers, pinkish below with red follicles. 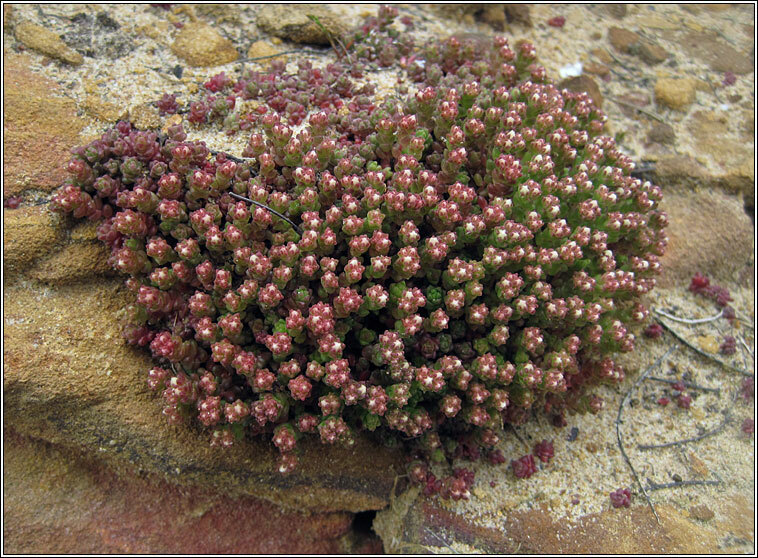 Spreading, mat-forming growth, the alternate, egg-shaped, fleshy leaves often red-tinged.